Honolulu's Taxpayer Burden.™ is -$23,000, and received an "F" from TIA. Honolulu is a Sinkhole City without enough assets to cover its debt. 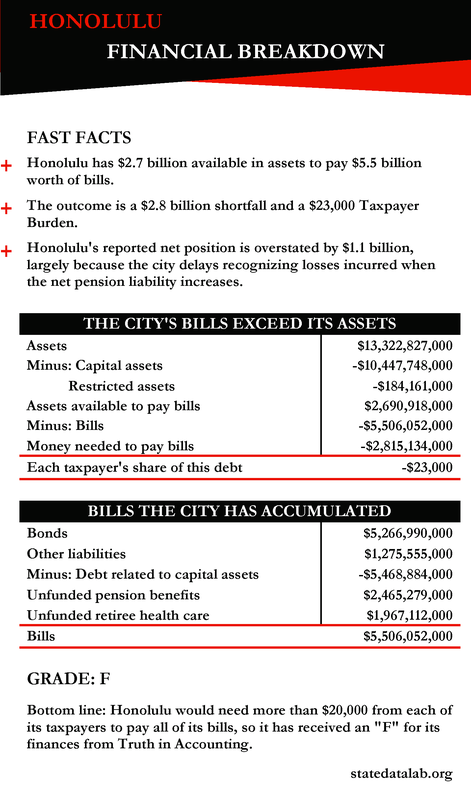 Honolulu only has $2.7 billion of assets available to pay bills totaling $5.5 billion. Because Honolulu doesn't have enough money to pay its bills, it has a $2.8 billion financial hole. 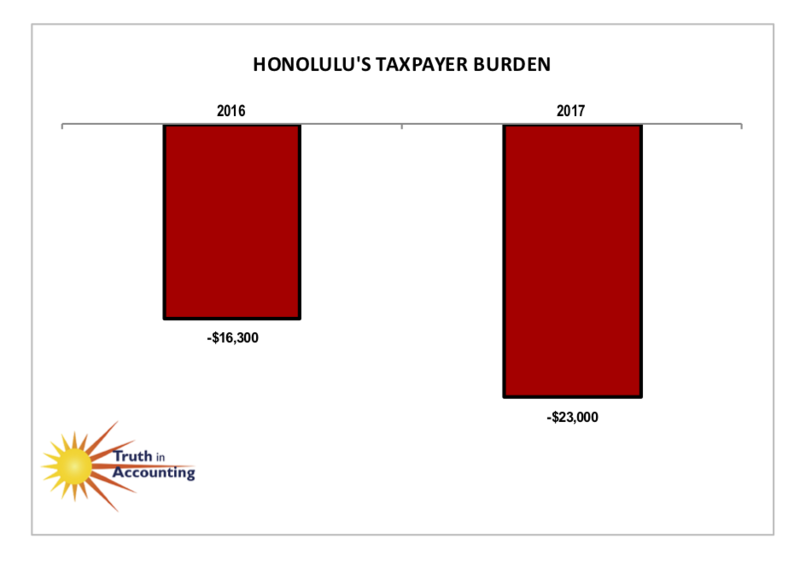 To erase this shortfall, each Honolulu taxpayer would have to send $23,000 to the city. 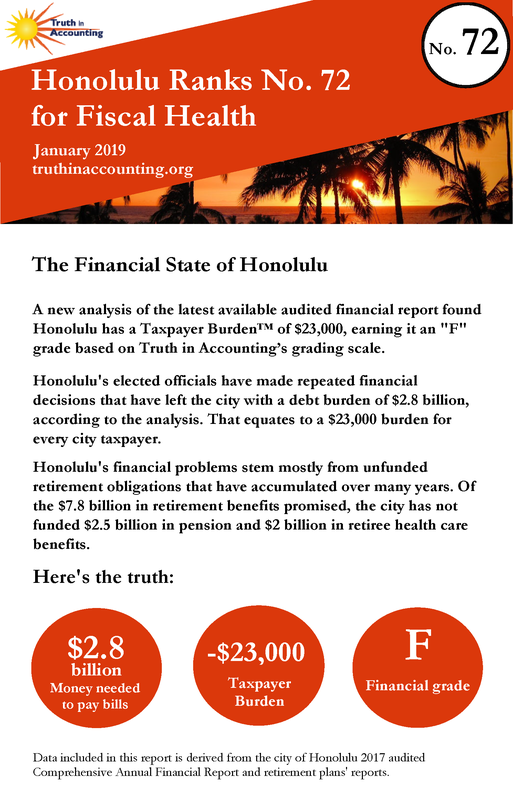 Honolulu's reported net position is overstated by $1.1 billion, largely because the city delays recognizing losses incurred when the net pension liability increases.